"Selecting A Business Intelligence & Analytics ​Solution"
Selecting A Business Intelligence & Analytics ​Solution​, shouldn't be based on the product with the most features but on the tool that best supports the needs of your business users. 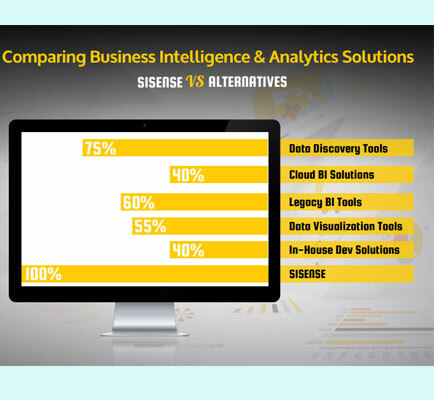 This whitepaper shows the comparison of several types of BI and analytics solutions based different criteria. Data preparation is quickly gaining stature as one of the most important aspects of today's analytical environments. 80% of the time spent analyzing data is devoted to data preparation. But do you know what it takes to properly prepare your data? This whitepaper covers the 6 crucial steps of preparing data for analysis, and highlights the important things to look out for in every one of them. Key takeaways from this whitepaper: How effective data preparation can have a substantial positive impact on these users The way data is prepared will often determine which types of analyses can be carried out How best-in- class companies have a three-pronged approach to enhanced data preparation Will data be consistent and accurate for the people receiving reports or viewing dashboards? These efforts not only lead to more effective data preparation, but ultimately more enhanced business performance as well.